And it is breathtaking. Salar de Uyuni is a place where nature rules majestically and reflects snow-covered mountains which reflect off the salt covered in water. During the dry season, salt lies the area but when the rains come, it is the gods’ mirror of exquisite and finite grace and elegance. 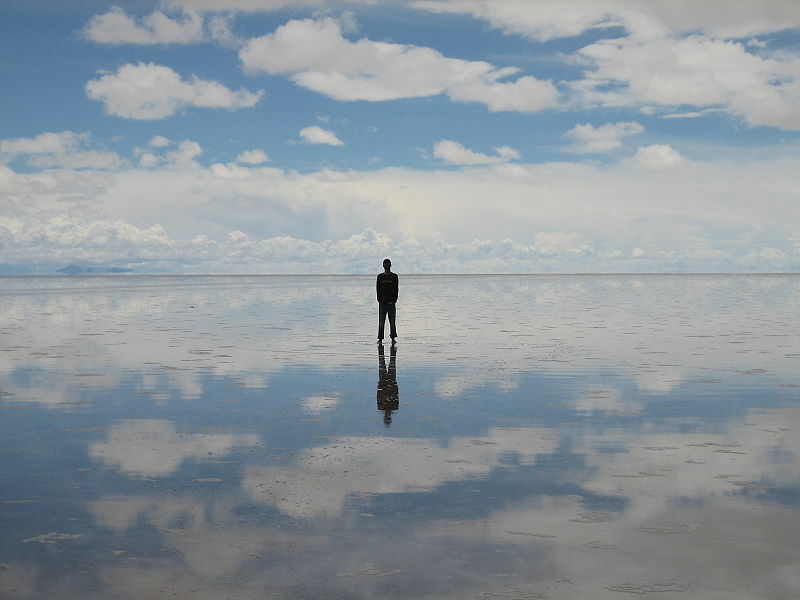 According to Wikipedia, Salar de Uyuni also is significant as an “ideal target for the testing and calibration of remote sensing instruments on oribiting satellites.” This is mainly due to the sheer size of Salar de Uyuni. Fogonazos has additional pictures and video of this wonderful and mysterious place where your breath will be taken away.